Civic Projects is a hybrid design practice. Founded by Monica Chadha, Civic Projects is a hybrid architecture practice in Chicago. In our world, “hybrid” means that our work includes architecture and stretches beyond its limits to also include community and strategic planning, grant writing, and small-scale revitalization. We see our work as serving communities by expanding the role of design and architecture collectively. Our process of engagement, which weaves with the process of design, prioritizes the involvement of those who the project will serve. Through workshops, frameworks, and questions, we facilitate a participatory process that brings us to the table equally alongside those whose daily lives will be affected. We embed ourselves in the communities and places where we work, approaching each project with an eye toward what makes it special and what its particular needs are. Civic Projects brings together teams with the right experience in strategy development and stakeholder engagement, as well as the ability to identify and formulate solutions. We always work collaboratively, and our team is extensively experienced in leading practices in architecture, drawing from key insights into the field to provide a breadth and depth of skills and experience. Civic Projects has worked as the trusted partner on projects on the South Side of Chicago, such as the Virginio Ferrari Arts Center and the Chicago Torture Justice Center. Civic Projects is also a strategic partner with the Ralph Appelbaum Associates for the Obama Presidential Center Museum Design Team. We believe deeply in each project’s potential to catalyze community activity and strengthen local bonds. We bring this belief, as well as our participatory approach, to projects of all scales, harnessing our experience as leaders of strategic programming and planning with several clients. No matter the scale or the project, we always start by embedding ourselves in the communities and places where we work. This approach results in projects that are equally embedded in their place and a key part of their communities, long after the design and construction process is over. Civic Projects is a Certified Minority and Woman Owned Business. Monica Chadha is a LEED-certified, licensed architect with more than 20 years of experience. As the Founder and Principal of Civic Projects, she contributes a background that is as equally steeped in social engagement as it is in quality design. Prior to founding Civic Projects, Monica led project teams at two of Chicago’s most notable architecture firms: Studio Gang and Ross Barney Architects. During that time, she was integral to the design of award-winning civic-scale buildings, such as the Champaign Public Library and the University of Minnesota Duluth’s Civil Engineering Building. Monica brings this wide range of design experience, combined with community engagement techniques developed as Founding Director of Impact Detroit, to all of Civic Projects’ work. The firm’s approach to design is hybrid and participatory—building teams and working collaboratively with community groups and organizations to develop projects that revitalize and invigorate the communities they serve. Civic Projects is currently engaged in a wide range of work: from working with Ralph Appelbaum and Associates on the Museum Design for the Obama Presidential Center, to leading the strategic programming and planning for the Chicago Torture Justice Center. Beyond the scope of Civic Projects, Monica serves as co-chair of the Sensible Growth Committee (Metropolitan Planning Council), as a Strategic Consultant for Archeworks, and is on the Board of the Delta Institute. She has been an Adjunct Professor at the Illinois Institute of Technology since 2007, engaging students in social impact design practices. In 2010, she was recognized as an Emerging Leader by The Design Futures Council, and in 2013, she was featured in the inaugural Public Interest Design 100 list of leaders. She received a Masters of Architecture degree from the University of Illinois at Chicago and a Bachelor of Environmental Studies in Architecture from the University of Waterloo, Canada. Jacob Chartoff is a licensed architect with more than 15 years of experience in architecture and project management. He brings an extensive range of skills to Civic Projects. While serving as the Staff Architect and Director of Campus Planning and Construction for Columbia College Chicago, Jacob was responsible for designing and facilitating the construction of spaces that translated the institutional brand, mission, and strategic goals of the College into usable, fiscally-responsible and aesthetically-minded environments. Jacob’s background in looking for solutions from the client’s perspective enhances the mission Civic Projects to serve clients at every stage of a project. While at GLUCK+, he led the project team for the design of The Stack, an award-winning, prefabricated apartment building in New York City. Comprised of fifty-six modules that were fabricated off-site, the seven-story building was delivered and erected over the course of a few weeks. As an architect at Landon Bone Baker Architects and Wheeler Kearns Architects, Jacob collaborated on multi-family residential, high-end residential, and institutional projects. Jacob is a contributor to MAS Context, a quarterly journal that addresses issues affecting the urban context. In 2013, he was one of the founding members of the Wabash Arts Corridor, which utilized public art in urban spaces to transform the South Loop. Jess comes to Civic Projects with experience in schematic design, historic preservation, and educational architecture from prior internships at Bauer Latoza Studio and Harding Partners. While at Bauer Latoza, she was involved in the production of as-built drawings for Chicago Public Schools, as well as in the condition assessment of campus buildings at the University of Chicago. Her work at Civic Projects ranges from workshop facilitation to residential permit sets. Recent projects have included workshop development for Chicago Torture Justice Center and the Obama Presidential Center Museum Design Team. She also contributes to the diagramming and strategic planning of our Reinventing Cities proposal. As a collaborator of CANDO Corporation, she also acts as web designer and data manager for their most recent project – a public repository of minority and woman-owned businesses in Chicago. The site is intended to encourage better workforce diversity on construction projects. Jess is in her last year of study at Illinois Institute of Technology, and will earn her Bachelors of Architecture with a concentration in Architectural History & Theory in Spring 2019. For each project we take on, we bring together a special team of people to carry it out. Our collaborators make our practice hybrid by bringing expertise in urban planning, education, sustainability, and policy and enrich every project with specialized knowledge and contributions. Combined with our commitment to quality design and architecture, our collaborative practice results in projects that are deeply embedded in their context and communities. Abby Hamlin is a real estate developer and civic thinker. In 1998, she founded Hamlin Ventures, which remains one of a handful of successful woman-owned development companies. Prior to forming Hamlin Ventures, Abby was President of Swig Weiler & Arnow Management, a premiere commercial real estate company that developed, owned, and managed 8 million square feel of office properties in New York City and San Francisco. As an active civic leader, she is a board member for the Downtown Brooklyn Partnership and has led several of its public design initiatives. Mary Patera is a creator and designer whose main motivation is her belief in people’s power to leave deeply personal, positive marks on their built environment. Trained in the fine arts, Mary spent many years in New York City working as a carpenter, a photographer and a sculptor. Guided by her passion for craft and building, she expanded her practice into architecture. This growth in her career led her to PKSB Architects, where she served as project manager for three new school buildings for the NYC School Construction Authority. In Chicago, she joined Nagle Hartray Architects as the project architect for the Francis Parker School Science Wing Addition and the Green Lake Cottage, which received AIA Chicago Distinguished Building Award in 2005. To all types of projects, Mary brings a design eye that’s honed by years of experience with deliberately looking and careful making, and her work seeks to create a sense of grounding. Clément Blanchet is the founder and principal of Clément Blanchet Architecture (cBA) and a former Associate of the Office for Metropolitan Architecture (OMA) in France. During his 10 years of collaboration with Rem Koolhaas, Clément contributed to the development of OMA in Europe and led several award winning projects for the firm. Founded in Paris in 2014, Clément Blanchet Architecture has worked on major projects such as the R&D Center for Carrefour, a new mixed-use complex in Georgia, and the French Pavilion for Expo 2020 Dubai. Mark de Groh is a twenty-year veteran of the city and climate vanguard and founding principal of Re:public Good, a San Francisco-based impact advisory firm pursuing full implementation of the United Nations' Sustainable Development Goals (SDGs). He helps investors, governments, corporations, and NGOs to deliver on the SDG indicators while maximizing triple-bottom-line returns for their stakeholders. An expert on regenerative design and strategic partnership formation, he also leverages a network rare in depth and diversity to marshal financial and social capital for his clients and the public good. An urban historian and spatial theorist by training, he holds degrees from Ohio State University and Princeton University. Sharlene Young is the principal and owner of Symbiotic Living Architecture and Design. For more than 25 years, Sharlene has worked with clients to enrich their lives through her designs and the built environment. After graduating from Cornell’s School of Architecture, Art and Planning, Sharlene spent time working with industry giants such as Gary Lee Partners, The Environments Group and Perkins and Will. 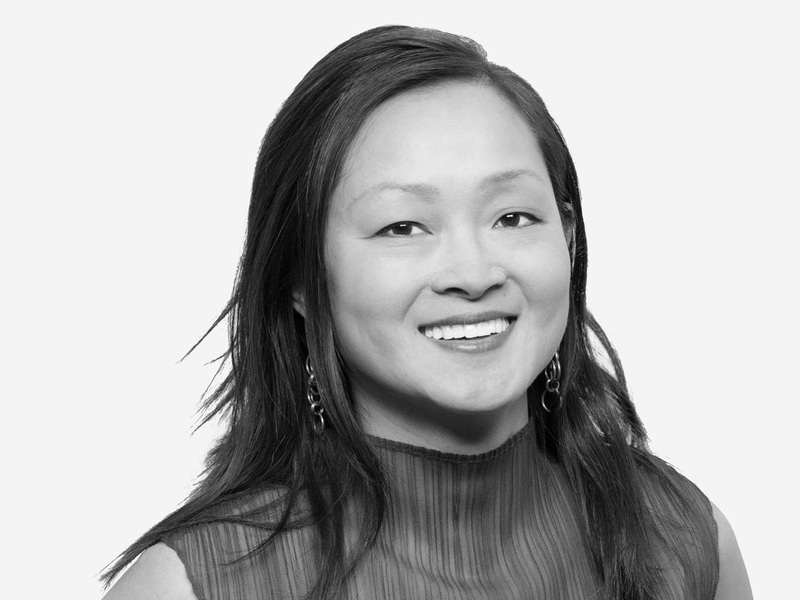 For over 12 years, Sharlene was the Interior Practice Lead at Wheeler Kearns Architects in Chicago. Based on the mission to achieve design excellence through the perspective of wellbeing, Sharlene’s firm focuses on both residential and commercial office projects. As an industry thought leader, Sharlene has served as chair of the AIA Chicago Interior Architecture Knowledge Community. Norman Teague is a South Side-based designer and educator focused on design projects and pedagogy that address the complexity of urbanism and the history of communities. Specializing in custom furniture and delivering a personal touch for each client that adds unique aesthetic, Teague’s past projects have included consumer products, fashion, public sculpture, performances, installations work, and specially designed retail spaces. In 2012, Teague worked with Theaster Gates on 12 Ballads for Huguenot House dOCUMENTA (13) in Kassel, Germany, which enabled material transferred from a South Side Chicago vacant building to transform the abandoned Huguenot house. He also co-founded the teen Design Apprenticeship Program at the University of Chicago’s Arts Incubator in Washington Park. Teague’s retail ventures have included partnerships with Leaders1354, The Silver Room, The Exchange Cafe, Redmoon Theater, and The Art Institute Museum of Chicago. Teague holds a Bachelors of Art from Columbia College Chicago, and a Master of Fine Arts in Designed Objects from the School of the Art Institute of Chicago. The OPC Museum Design Team includes several firms and collaborators. Left to Right: Renata Graw (Normal Studio), Norman Teague, Monica Chadha, Jen Park, Amanda Williams, Andres Hernandez.